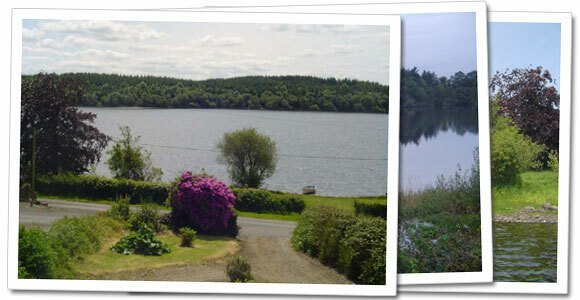 Island House is a Fáilte Ireland approved (2 Star Rating) self catering house, which is idyllically set on the shores of the scenic Eonish Lake which is part of the Lough Oughter system in Co. Cavan. It is 4km from Killeshandra, 3km from Killykeen Forest Park and only 20km from Cavan town. The area is one of outstanding natural beauty and serenity with Eonish being just one of the islands which can be found along the shores of picturesque Lough Oughter. Island House is perfect for those seeking a quiet relaxing break away from the hustle and bustle of urban life. You can relax and enjoy the uninterrupted views of this wonderful rural setting. All three bedrooms and sitting room are located at the front of the house and provide panoramic views of the lake and forest. Island House is in an idyllic location for top fisheries including bream, roach and pike. A match stretch of Eonish Lake shore is used as part of the King of Clubs Championship every year. There is ample private parking and bait shed including fridges to the rear of the house. For those who like to look at the water rather than be on it, we are ideally situated for golfing, walking and bird watching. The breath taking scenery will give the artists and photographers amongst you plenty to do.